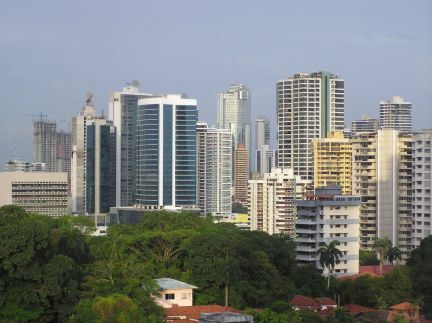 This rather unremarkeable looking brick arch changed the course of history and the economy of Panama. 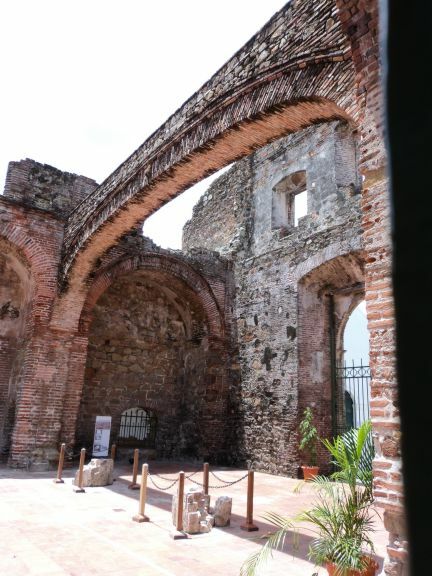 When the French where deciding which country should be graced with a transisthmian canal, the Panamanians showed them a black and white photo of this arch in the ruins of Saint Juan de Guzman church. 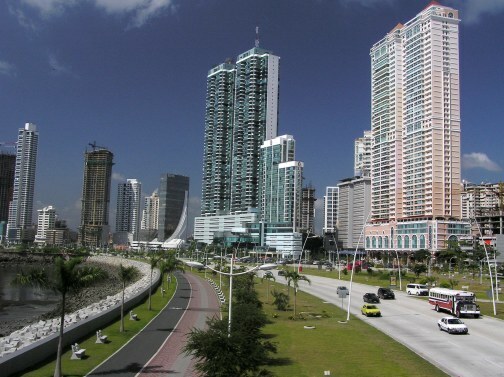 They told the French that Panama was obviously a better and more geologically stable country in which to build the canal. The evidence being this 400 year old flat arch. They reasoned that if Panama had earthquakes (they lied, it did have earthquakes and still does) then this arch would have collapsed. 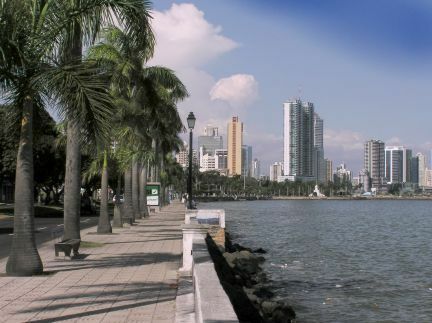 Panama got the canal. The arch finally fell down in 2003 shortly after I videotaped it. (I deny even going near the thing) This reconstructed arch hopefully will stand for another 400 years. 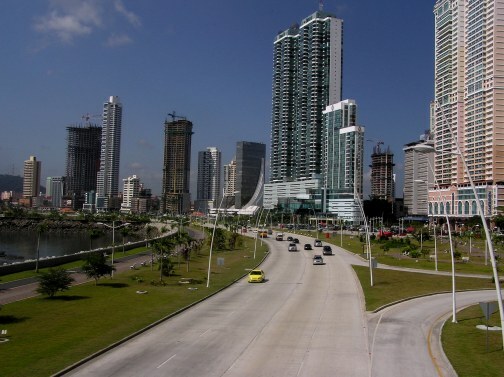 The CINTA COSTERA is a new road built on reclaimed land from the bay of Panama. This has almost cured the nightmare traffic problems of down town Panama City. 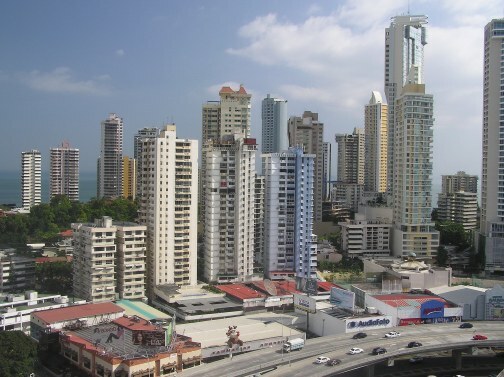 Panama City skyline is dotted with dozens of new hi-rise buildings - many of these are completely empty. Flying into the city at night they stick out as ominous dark and unlit towers. 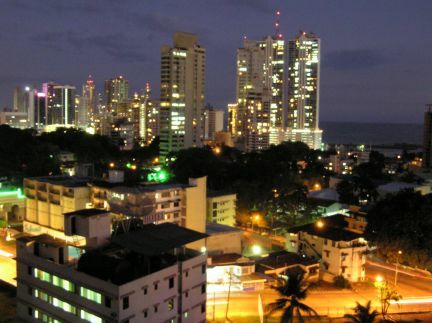 Although RODRIGO de BASTIDAS was the first Spaniard to land in Panama NUÑEZ VASCO de BALBOA has become the “father of Panama”. 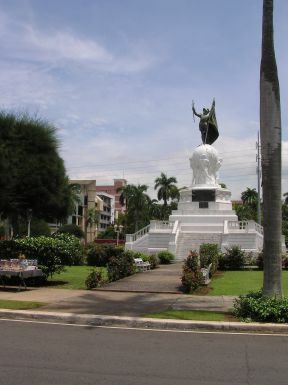 His statue graces a park on the malecon in Panama City, The currency is named after him and an area near the canal also bears his name. 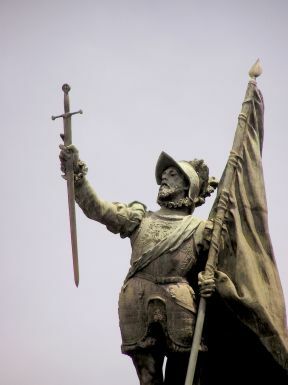 On September the 25th, 1513 he made the epic crossing of the isthmus and discovered the “Southern Sea” or Pacific Ocean. 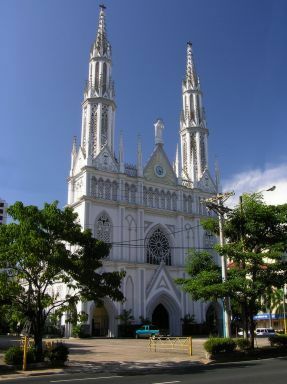 Iglesia del Carmen is Panama City’s most beautiful church, situated on Via Espana on the borders of La Cresta and Bella Vista. 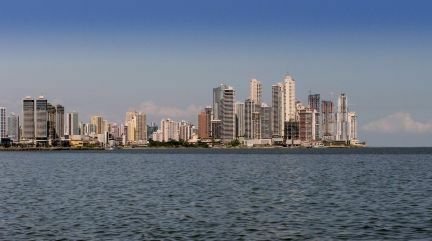 The Panama City skyline is changing almost daily. 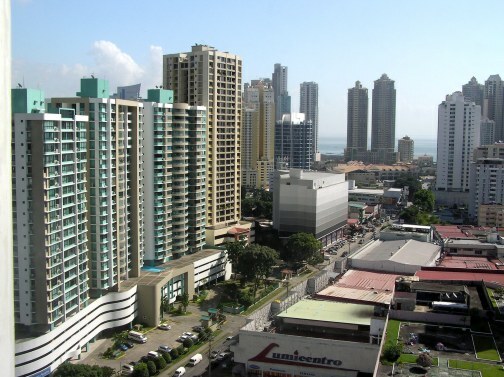 It is estimated that nearly 12,000 new apartments will be built in the next two years including the world's tallest residential building. 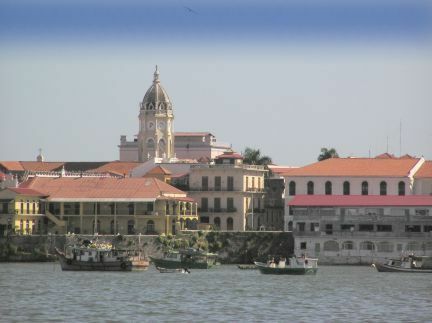 Casco Viejo (San Felipe) is Panama’s City’s second oldest area after Panama Viejo which was destroyed after Pirate attacks. 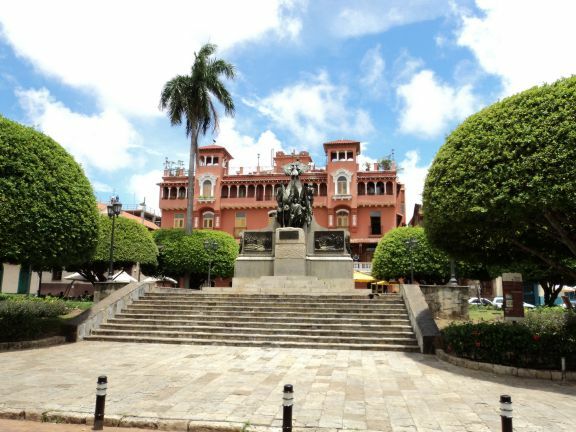 Today it is the official home of the President and is dominated by the dome of the Iglesia Catedral Metropolitano.